ROAD Fighting Championship is excited to announce the first match of Xiaomi ROAD FC 036 which will take place on February 11, 2017 at the Jangchung Gymnasium in Seoul, South Korea. Former ROAD FC Middleweight Champion will face Kim Nae-Chul for the right to challenge the current champ, Cha Jung-Hwan. 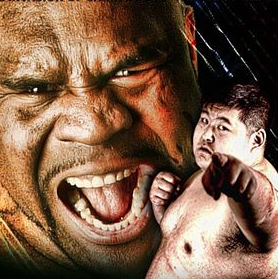 Riki Fukuda (23-8, Grabaka) will finally get the chance to get back on the road to redemption and reclaim his belt. Fukuda won the title at ROAD FC 024 on his home turf of Japan with a resounding KO over hot prospect Jeon Uh-Jin. Then in his first title defense on ROAD FC 028, Fukuda spent a round dominating Cha Jung-Hwan, but was caught in the second with a fantastic counter that dropped him to his knees and saw him finished off. The gritty grinder who has become a fan favorite will once again have a chance to work his way back into title contention. 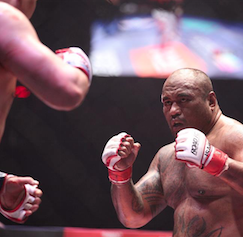 Kim Nae-Chul (West Gym/Team Posse, 6-3) is a constantly improving slugger riding a 4-fight win streak that began with knocking out warhorse Ryota Noji while on his transformation down from light heavyweight. His Fight of the Year contender with Park Jung-Kyo at ROAD FC 033 instantly put him into the title picture. Kim is a precise and powerful striker with a huge gas tank that makes him the ultimate threat to his next opponent, and a misleading sparse record that shouldn’t be used exclusively to judge his worth. Fukuda versus Kim for the right to fight for the belt will make an amazing crowd pleasing match for the fans of finishing fighters! 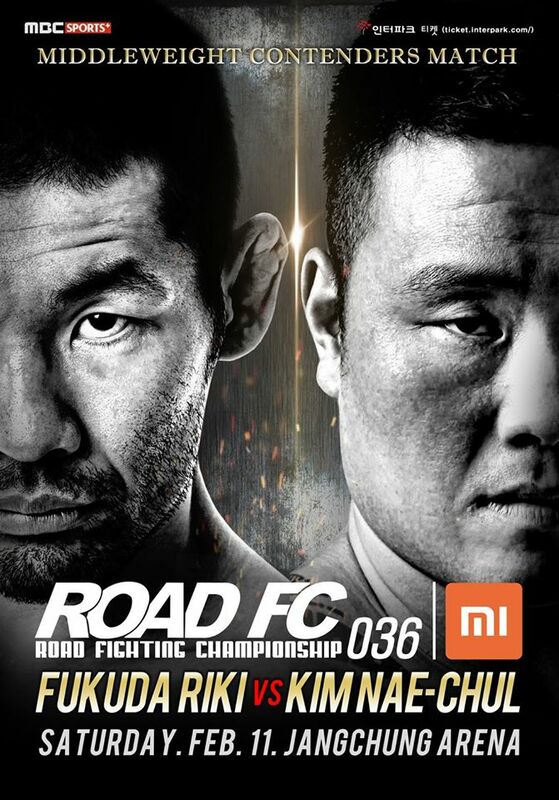 Xiaomi ROAD FC 036 will host the opening round of the International Trials to seed 5 fighters in the ROAD FC $1 Million Lightweight Tournament: “Road to A-Sol”. 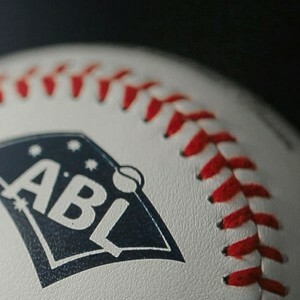 The ten matches for this historic event will be announced soon. New Wave MMA ROAD FC is the stage where legends shine, rookies thrill, and epic battles are waged that determine the future of MMA. From the pageantry of the grand entrance to the final crunch of the KO, ROAD FC showcases the very best of Mixed Martial Arts sports and entertainment.